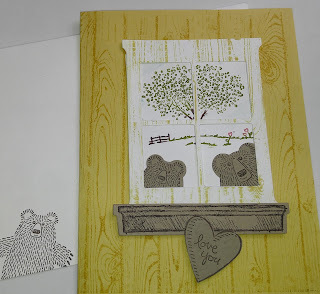 Art Gallery Cards: Bear Hugs, Balloon Celebrations Card Making Fun! 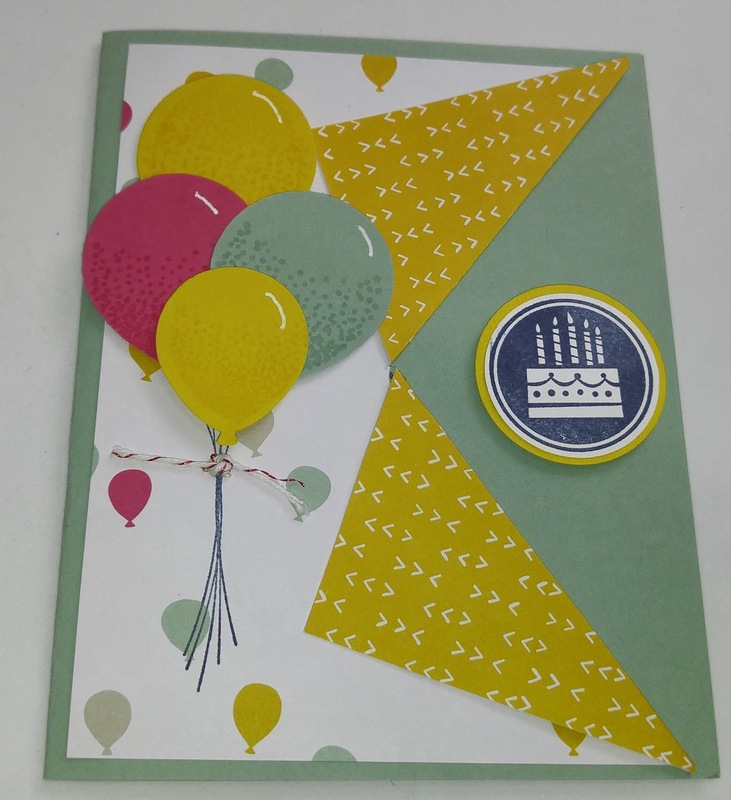 Bear Hugs, Balloon Celebrations Card Making Fun! I hope you are having a great week and finding some creative time too!! Here are this week's cards, the first 2 being CASE'd from my OnStage swaps! What a treasure trove! I'm so happy that I decided at the last minute to participate in casual swaps! If you love the Bear Hugs bundle like I do, be sure to order it prior to May 31 for the best deal!! This makes an ideal Father's Day or birthday card!! The Balloon Celebration punch and stamp set is carried over but, again, you'll get the best price before June 1!! I love this fold--Easy Peasy--just pinch the paper in the middle and cut in 1 3/4"!! 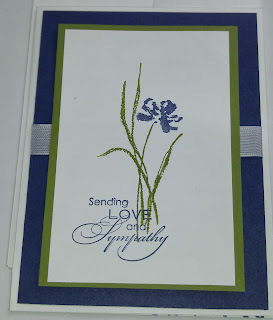 This is not a card to look forward to giving but it is great to have one on hand when the need arises. 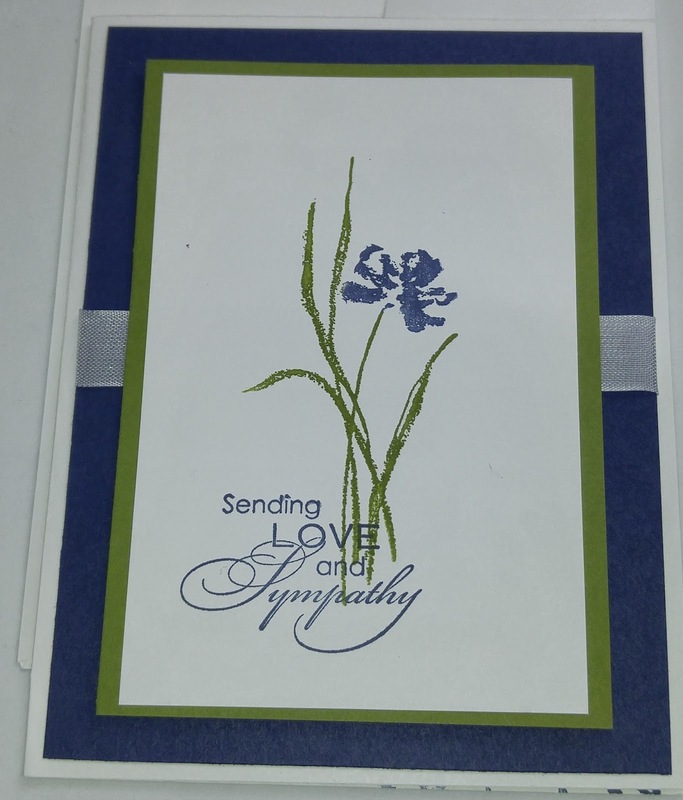 The color palette for the Love and Sympathy card is Night of Navy and Old Olive. This week we'll be making a Father's Day Shirt and Tie card and a pretty floral card. Card-Making Challenge And More Fun To Come!